Steve Warning of Kelso Washington built the ANGELA K to Harry Bryan's Handy Billy design. 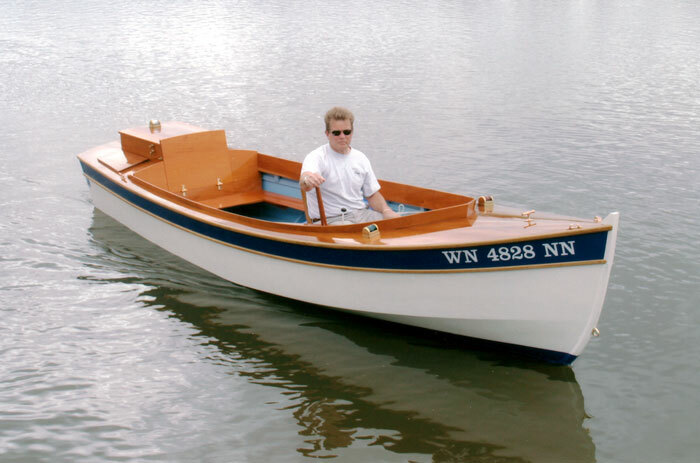 Using batten seam construction, Steve used cedar planking over white oak frames and backbone. He made the floors from purpleheart wood and used mahogany for the trim and seats. 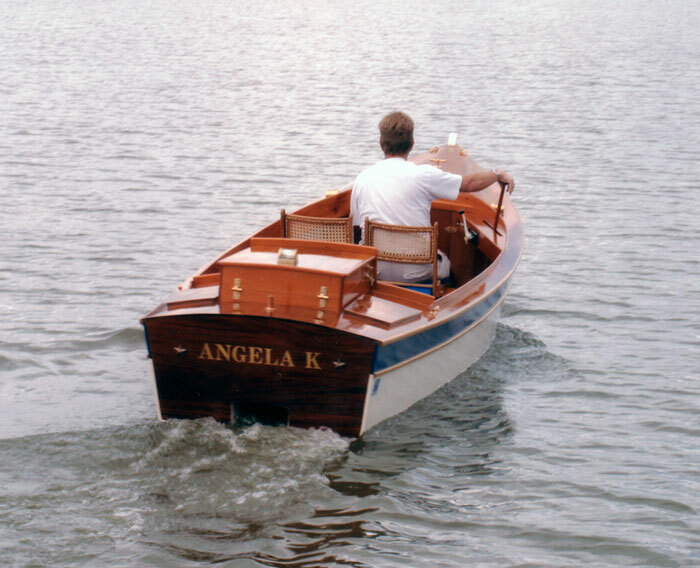 Steve spent 13 months building the ANGELA K, which he named for his wife. 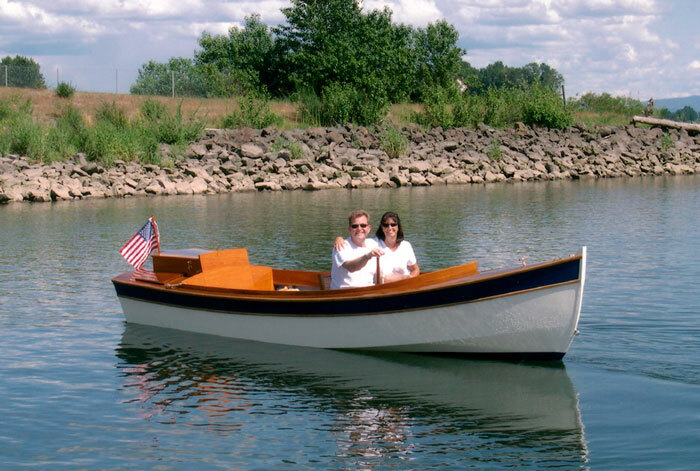 He and his wife cruise the lower Columbia River and Puget Sound. Contact Steve at warnings@scattercreek.com or at 209 Cole Road, Kelso, WA 98626.